We understand that making buying decisions and doing research on baby monitors for finding the right product can be a very stressful and frustrating task. This is the reason because of which we decided to compile a list of best baby monitors available out there in the market. Worry no more, we are here to help you and take off the entire burden and worries off your shoulder. Just relax and know about the best baby monitors which are available out there in the market from our list and review. 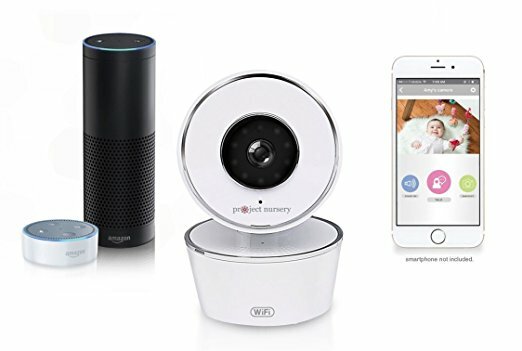 All the following baby monitors will assist you in keeping a close eye on your baby, but you should know that every product has its strengths and weaknesses. Evaluate the capabilities of the products listed below and make the right buying decision. 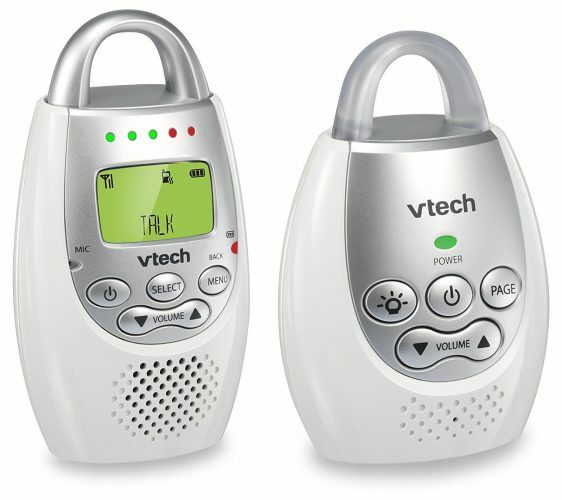 Video baby monitors are way too expensive, if you feel the same and have a desire to buy the best audio baby monitor then believe us you will surely be satisfied with VTech DM221 baby monitor. This very baby monitor features two-way audio and an estimated 1000 foot range which most of the parents will find quite impressive. The ability to talk to your baby will not only make you feel well but in addition to that, you will be able to reassure your presence to the baby even when you aren’t in the room. You can even monitor the noise level in your baby’s room as this very baby monitor visually shows the noise level with the help of a five bar LED display. This very feature will help you in making sure things aren’t out of control even when you turn down the volume. 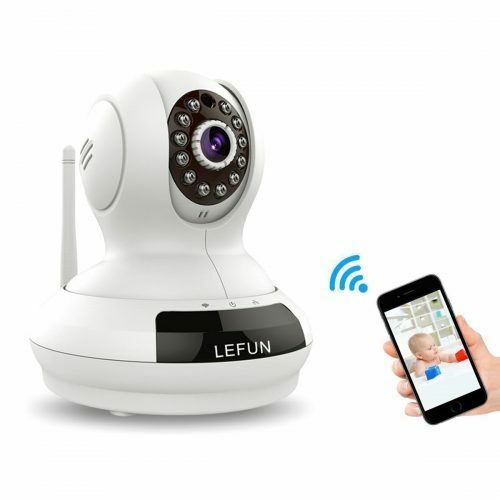 The LeFun C2 720P Wi-Fi baby monitoring camera is one of the best baby monitoring cameras available in the market. 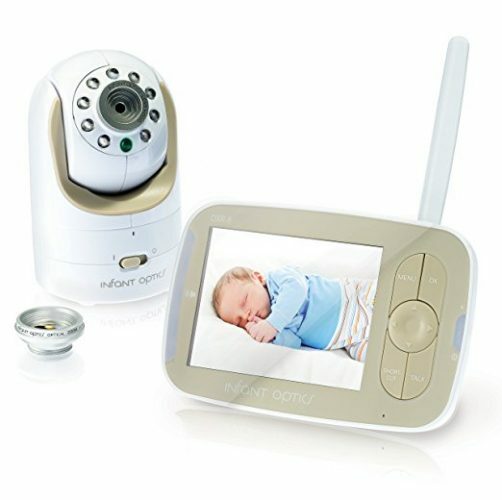 This baby camera offers plenty of features, works wherever there is an internet connection and in addition to that gives high-quality images. This camera is available at an affordable price. You will have to use your smartphone as a parent unit. Though this great baby monitor is available at an affordable price, like any other product, it too has its drawbacks. The one that might change your mind about the LeFun Wireless Surveillance Camera IP Camera Nanny Cam is that the video delays by few seconds. From the price point of view, the Honrane Baby Monitor is available at an affordable price. This very baby monitor comes with 3.2 inch LCD. Some of the features that make this baby monitor the best in the market are ambient temperature monitoring, in-built eight lullabies, and nighttime vision. You will receive high-quality audio and video on the parent unit and in addition to all that you will also be able to talk to your baby using the monitor itself. 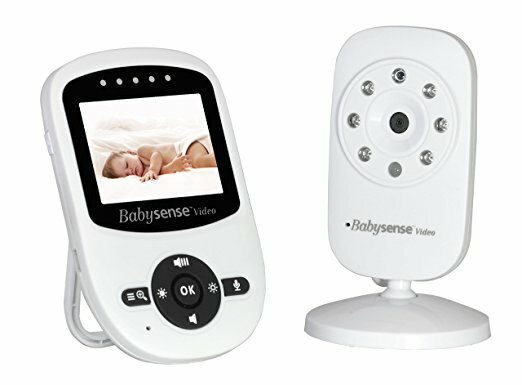 One of the best things about the Babysense Video Baby Monitor is that is small and compact. This makes it easier to take your baby monitor everywhere you go. Size of this baby monitor surely is a positive feature, but it packs tons of other interesting features. This baby monitor includes a 2.4” HD color LCD screen. For sure a number of people will say that screen is too small as compared to other similar products available in the market, but it surely is large enough to show you what you need to see efficiently. It features ECO sound activated mode that helps in saving battery. 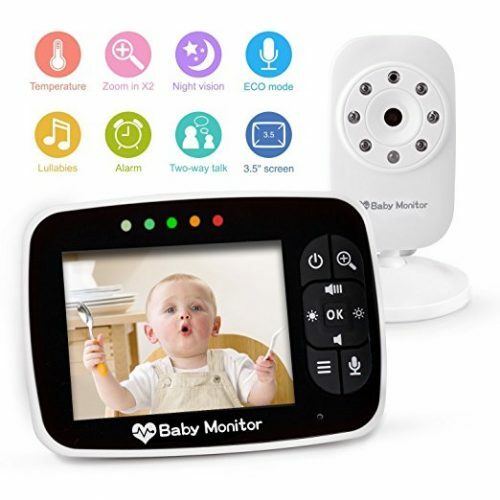 If you are looking for a functional baby monitor at an affordable price and ready to compromise with the screen size, then you will surely be happy after purchasing this great baby monitor. 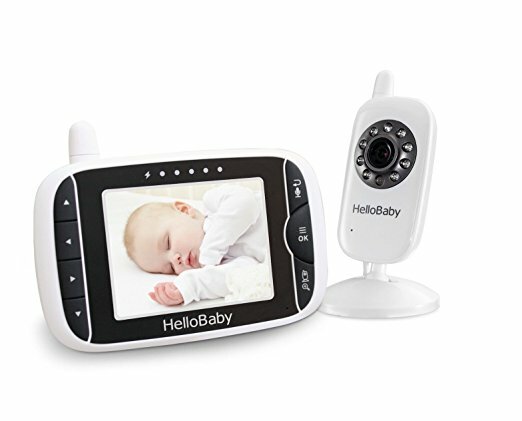 One of the most important and attractive features of the HelloBaby 3.2 Inch Video Baby Monitor is its ability to keep track of your baby’s ambient temperature. This causes absolutely no discomfort to the baby, and you get access to the temperature all time. 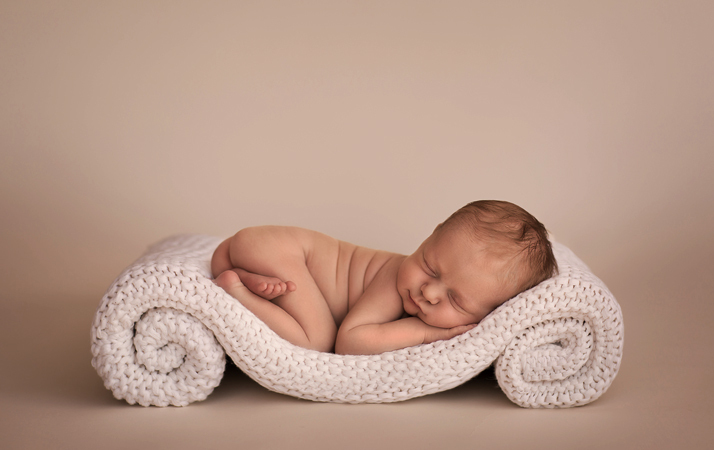 You should know that the temperature of the room can have a massive effect on wellbeing and general health of the baby. This product features massive transmission range of 960 feet. Almost all the features of this baby monitor are great, but the only downfall is its auto-mute function. 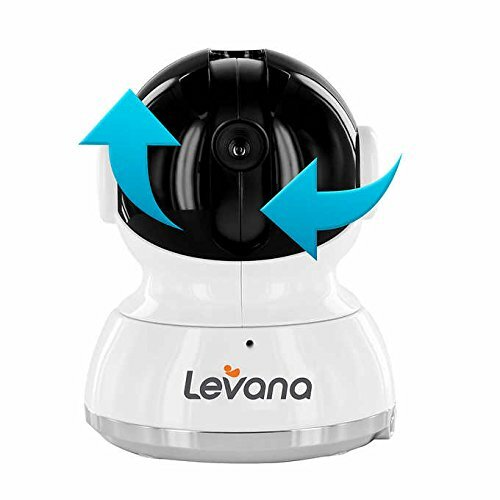 The Levana Willow 5″ HD Touchscreen PTZ Baby Monitor is an easy to use baby monitor will give you as little or as much monitoring as you would prefer. The combination of great features is what forced us to add this great product to our list. Some of the notable features that this baby monitor has include power save mode, and nap and feeding timer. The 12-hour battery life of the parent unit is surely a plus point, but the higher price of this product might make you look for other similar product. However, we assure you that the baby monitor is worth the cost that is written on its price tag. 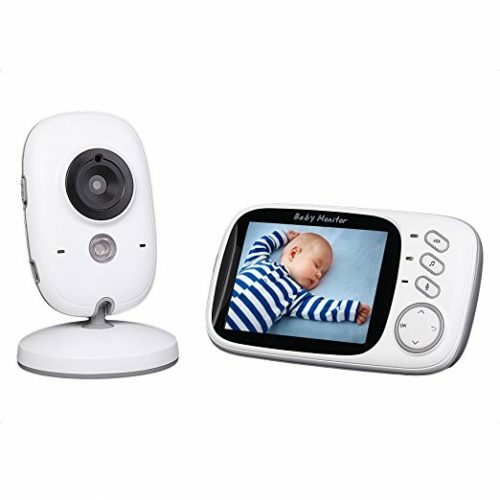 Are you in search of visual baby monitor kit at an affordable price then you should consider buying this product loaded with great features. Though the price of this product is easily affordable but the functions that it has packed inside of it will make you feel that you made the right buying decision. This baby monitor unit contains a camera and 3.5”LCD. You will have access to clear real-time video and audio of your baby. Automatic infrared vision feature of this baby monitor activates the infrared night vision automatically in dark environment. This baby monitor also has two-way talk feature, and in addition to that, it comes with in-built lullabies. It is one of the unique and highly functional baby monitors on our list. If you are looking for a great baby monitor that has all the functions that a baby monitor can have. Then you should consider buying DBPOWER Digital Sound-Activated Video Record Baby Monitor. 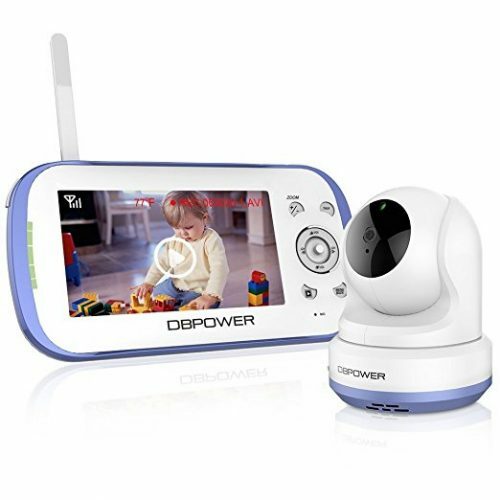 On buying the DBPOWER Digital Sound-Activated Video Record Baby Monitor, you will get a remote camera and a 4.3” color LCD. This very product features two way-talk and advanced alert system. The advanced alert system will alert you for low battery, temperature, baby crying and out of range. The light sensor in the camera automatically switches to night mode when light intensity decreases and does vice versa too. This surely is a new product in this line, but you should know that it is one of the best and highly functional baby monitor available in the market. This baby monitor works well with any of the Alexa Voice service speakers such as Echo dot and Echo. With this baby monitor, you will be able to give voice commands for a number of functions such as record video, play songs and lullabies, control camera movements, temperature reading, sound/motion detection and capture photos. Wi-Fi camera allows you to keep a close eye on your little one that too in high definition. You can view the live feed of the baby monitor on an Android or iOS device. However, for using this feature, you will need to install an app. The best thing about this product is that setting it up is easy. One of the main gimmicks that this very baby monitor had that forced us to recommend this product to you was the presence of an optical zoom lens. The DXR-8 baby monitor is a great product, and it has enough unique features that make this product worth serious consideration. Moreover, this baby monitor can is a compact and features the tilt, pan, and digital zoom capabilities. For night vision this very product features an array of eight LED sensors. Also, you can easily mount this baby monitor on the wall or the crib on your own. Customers will get the necessary kit for fixing the baby monitor with the package itself. You will also get a display unit that will link to the camera for giving you a direct live feed from the baby monitor camera. One of the features that really made us fall in love with this product was the presence of micro USB port. This allows you to charge it with any random cable. There are a number of factors that one will have to take into consideration for selecting the right baby monitor, but at the end of the day, the most important factor will be the safety of your baby. Before decided to buy a baby monitor you should always consider buying the right one that ensures the safety of your baby. We have made things a lot easier for you by compiling a list of best baby monitors. Lastly, no matter which option you choose from the above list you won’t be disappointed and we did thorough research on the available options and shortlisted the top ten that passed all our tests. No matter which baby monitor you choose at the end of the day the only thing that will matter will be the safety of your baby when you aren’t around in the room.